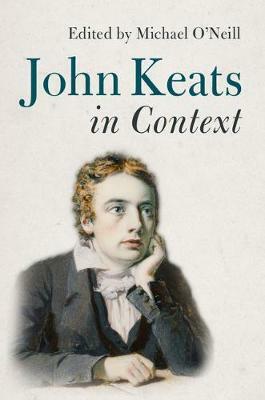 John Keats (1795-1821) continues to delight and challenge readers both within and beyond the academic community through his poems and letters. This volume provides frameworks for enhanced analysis and appreciation of Keats and his work, with each chapter supplying a succinct, informed, and accessible account of a particular topic. Leading scholars examine the life and work of Keats against the backdrop of his influences, contemporaries, and reception, and explore the interaction of poet and world. The essays consider his enduring but ever-altering appeal, engage with critical discussion and debate, and offer revisionary close reading of the poems and letters. Students and specialists will find their knowledge of Keats's life and work enriched by chapters that survey subjects ranging from education, relationships, and religion to art, genre, and film.